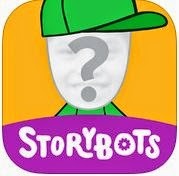 Get the FREE Starring You Books by StoryBots App for iPad – The Starring You® Books iPad app makes storytelling even more magical by making your child the star of a beautifully illustrated and animated storybook that features their face and name. Simply add a photo and – VOILA! Your child (or mommy, daddy, grandpa, friends or even the family dog) is the star of the show! Clcik the link below to get this great free App.